Last week, Navreleased his new album Bad Habits, effectively coming out of retirement and making a big splash. He initially quit music to support his friend Lil Uzi Vert, who has reportedly been held back by his label for months. 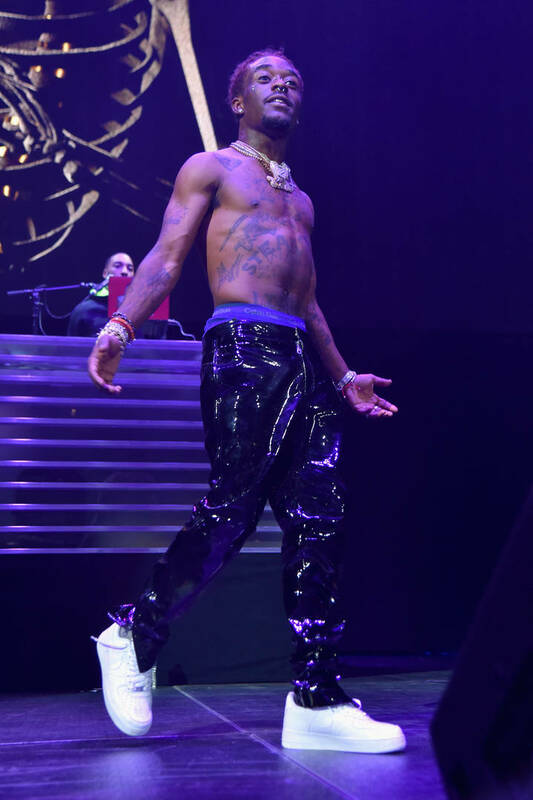 Although Drama has said that Uzi has his blessing to release Eternal Atake whenever he wants, it appears as though he and Don Cannon are at the root of the issue. Rumblings of a deal between Uzi and Roc Nation are shaking up the industry right now, perhaps pointing at the imminent release of his long-awaited album. Despite things looking positive right now for Uzi, Nav is still screaming for his friend to get back to the game. To encourage the Philly rapper, Nav has just released a line of merch dedicated to his brother. Introducing a limited range of hoodies and t-shirts, Nav printed a few "Free Uzi" products to get as many people on the bandwagon as possible. The merch makes sense when you read into it: the word "Free" is seen scrawled across an Uzi submachine gun. The items will only be available for the next day so if you're thinking of copping one, do it quickly. Do you think we'll finally get to hear Eternal Atake after all of this teasing?